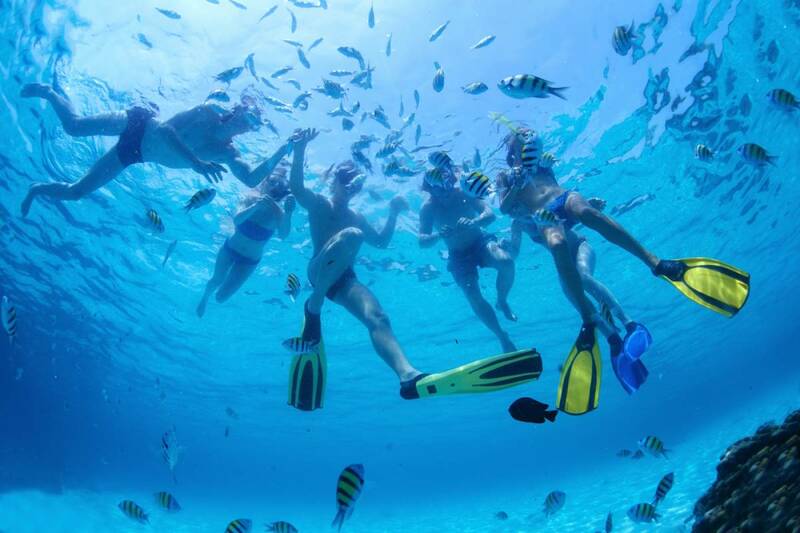 Explore the best snorkel spots in the area! Explore the best snorkel spots in the area. Spend the afternoon exploring and snorkeling at beautiful beaches accessible only by ATV. 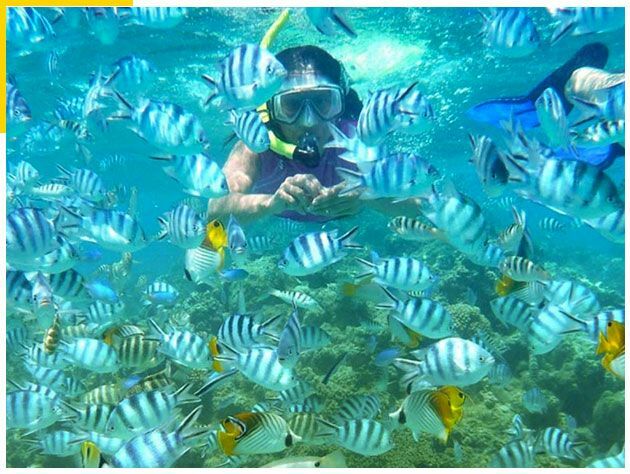 See up to six different beaches and then let us take you on a guided snorkeling tour at one of a few secret spots along the coast that only we know of. (Snorkel gear included). 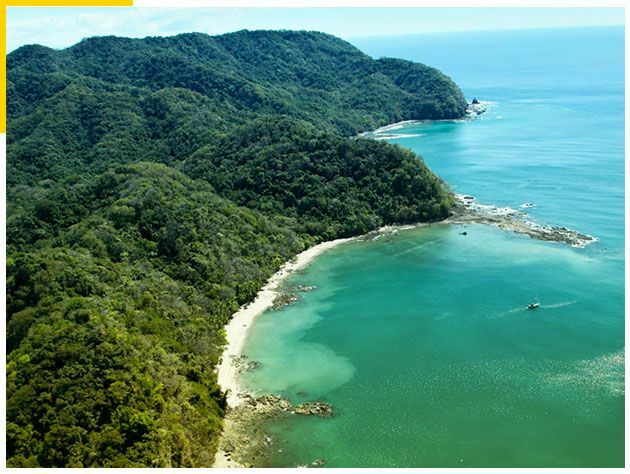 On the North coast from Playa Flamingo, Costa Rica there are a number of habitats where you can see many different types of marine life such as the Olive Ridley Sea Turtle, Manta Rays, Puffer Fish, Star Fish Parrot fish and many more. Tour begins in Flamingo then goes through Potrero to Dantita Beach, Sugar Beach, Danta Beach, Prieta Beach, Penca beach and Potrero beach before returning to the start point. 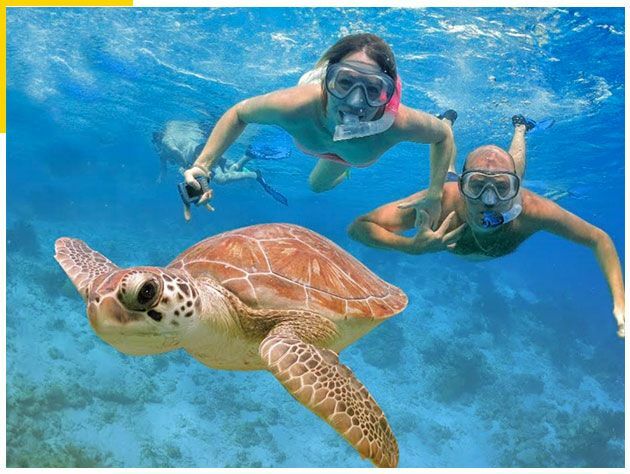 A stop for a one hour to 1.5hr guided snorkel tour is included at one of those beaches depending on water conditions. Visit up to 6 different beaches. 1.5 hour guided Snorkel Tour.